We plan to periodically highlight some of our developers in the community. This month we talked to Harold Thetiot and Antoine Pitrou to learn about Sylaps and how they use EasyRTC. Tell us about your company. What does Sylaps do? Sylaps is making real-time secure communication a reality by providing easy to use, secure and reliable video conferencing solution for everybody. 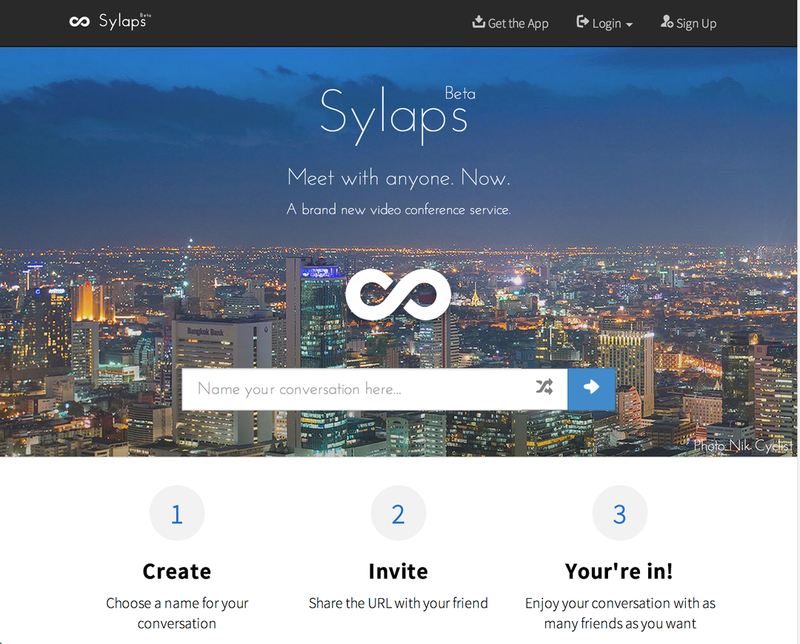 We operate a full collaboration service at sylaps.com that includes audio, video, chat, screen sharing, and file sharing. Making Sylaps easy to access is a high priority for us, so we have apps available for web, iOS, Android, OS X, Windows, and Linux. Sylaps also provide integration services and consulting for small and large business that want to integrate WebRTC technology into their services. Video and audio are major parts of Sylaps. We also use WebRTC&apos;s screen sharing and DataChannel for sharing data between users..
How long have you been using EasyRTC? We first starting using EasyRTC back in December of 2013. WebRTC was in an early stage at that time and EasyRTC really helped us get started in this market. We use the EasyRTC server for signaling and leverage the EasyRTC client for session creation between peers. Our backgrounds are in media streaming and web design. We did not start out as WebRTC experts and EasyRTC helped us get going quickly. The EasyRTC framework is easy to extend and modify, which we have done to fit our expanding application. Definitely. As heavy EasyRTC users we are happy to contribute back. Some of the contributions we have made are for improving support other platforms, like Firefox and Internet Explorer. We also fixed various bugs related to handling multiple streams with the API. Beyond that we helped with JSLint and some small API improvements. Where can other developers find out more about Sylaps? Visit Sylaps.com or check out our github page: https://github.com/Sylaps.